HG status!!! I was using Carmex in the tube and the Walgreen's brand but these were just "ehh decent for the moment". 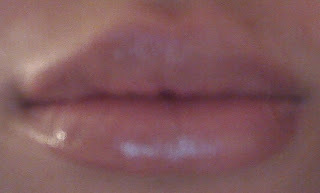 Also, they seem to just absorb into my lips, then my lips would feel dry again and I would reapply. 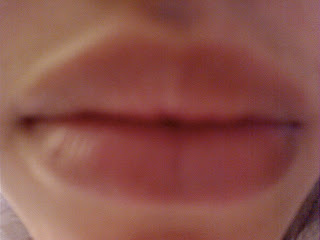 It did nothing to repair cracked skin lips. I exfoliated all the time and these chapsticks did nothing to repair my skin lips. However, once I started using VS Beauty Rush Soothing Lip Balm, I barely had to exfoliate and I notice a big difference in the condition of my lips! I use this balm every morning and night. It feels light and non-greasy. 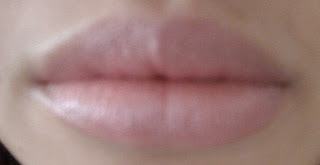 It has a slight glossy effect on lips. May be slightly sticky?? If it does, it doesn't bother me. It's simply perfect! Barely feels like you even have it on. On the back of the container, there is a small piece of paper that you can open up and it states the ingredients in the balm. The ingredients are listed below. I think the oils in this product is what makes it effective. I wonder if other balms have these also? The only thing I don't like is I have to use my finger to apply. I don't like this type of application, which is why I don't bring it with me everywhere and reapply during the day. I only use right after washing my hands. I don't want to contaminate the balm. I plan on taking out a chunk of the lip balm and putting it in a mini jar/sample jar so that I can carry it around; this way, if anything, only a small chunk of the balm will get contaminated. I highly recommend trying this! 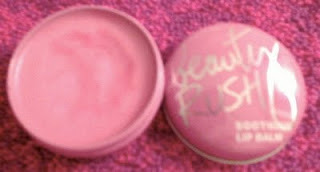 It's different from other chapsticks and lip balms I have tried in the past! I think it comes in 3 different colors. I have it in petal soft. They have clear and some other one. Here is a list of drugstore/ inexpensive recommendations for products very similar or “duplicates” (aka dupe) of MAC products. This list was compiled from youtube videos, blogs, and boards. Lavender Whip - NYX Power! *Check out this website where they have a link of left side that says "MAC Clones". 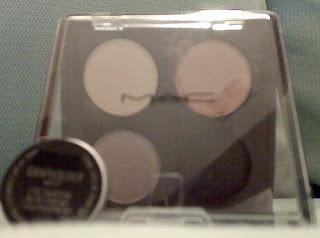 Apparently they attempt to make products very very similar to MAC. I have not purchased from this site nor am I affiliated with them but I saw someone mention it. If you give it a try, please let me know how the products are! Sorry, will post a review tomorrow. 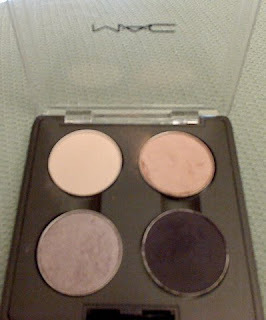 Post tomorrow will be about my first time to depot MAC e/s and how much I like the new e/s in my first palette! I will take requests on makeup you would like reviewed into consideration and at which time these request reviews will be posted weekly. 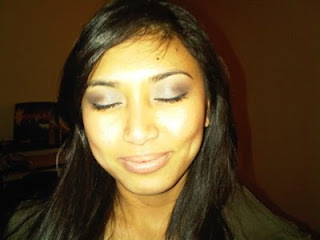 First time doing fairly dark eyeshadow. The flash from the camera phone makes it not look as dark though. Since I failed to do a review last Sunday, here's a package deal on reviews for the products I use as part of my skin care routine. 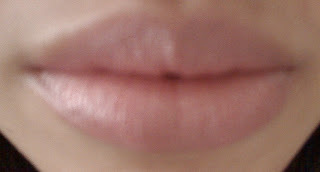 I have combination skin: dry in the winter and fairly oily in the summer, and sometimes an oily T-zone. 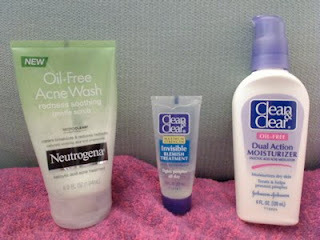 "clears breakouts & reduces redness; naturally soothing aloe and chamomile"
My review: This face wash is amazing! I have dry skin in the winter and this leaves my skin feeling moisturized, smooth, and fresh! 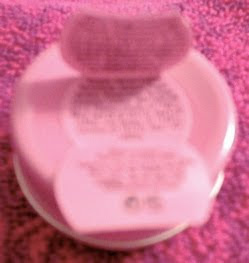 After washing my face, there's a cooling sensation and my skin feels so soft to touch. However, I still have to moisturize. The texture is quite creamy and you're suppose to "add water and work into a lather". 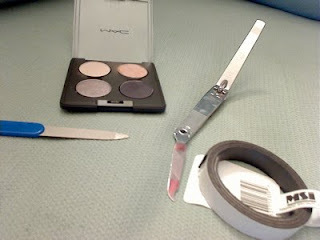 You only need a small amount- about dime size and mix with water and in circular motions I apply onto my face. The smell isn't unpleasant- just fresh. I feel that the beads exfoliate my skin every time! My skin used to have some dry patches but after using this product those patches are gone! Also, the areas of redness on my face were reduced when using this. I been using this product for about a month without any problems, and I even notice less breakouts! :) Definitely, recommend trying this! My review: I use this every night after washing my face. I apply a small amount of product on my acne. 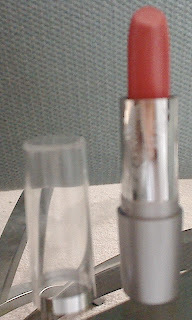 It dries clear and leaves a clear film where applied. The next morning I notice that my acne is less red and even reduced in size! Definitely recommend trying this product if you have small breakouts here and there! "Moisturizes dry skin; treats & helps prevent pimples"
My review: This is a cheap and decent moisturizer. I been using this for a couple years now. I still have breakouts every now and then while using this product and the only thing I feel this does is moisturize. This product doesn't feel greasy. It's a cream and absorbs fairly quickly onto skin. Throughout the day, my T-zone may get oily (but it can also be due to the food I'll eat). I don't have much to say about this. I'd recommend this if you are looking for a cheap moisturizer. God gives us a fresh new canvas to paint our lives on, every morning..."